A Round Brilliant Cut Diamond set in four diamond set claws. The split band is micro claw set with small diamonds featuring millegrainaing on the inside edge. 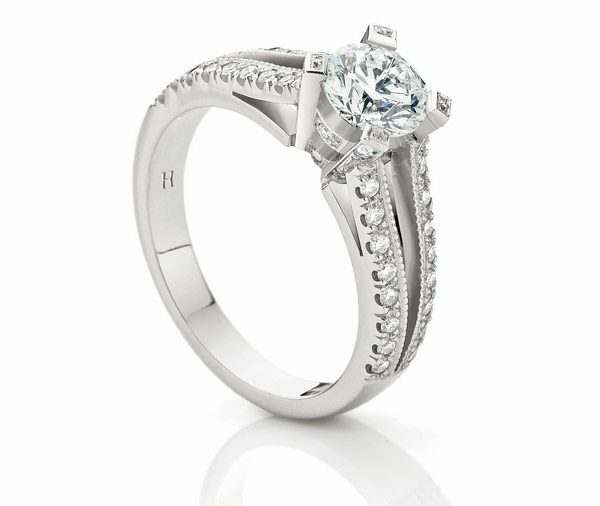 Model image features centre 0.85ct round brilliant cut diamond set in 18ct white gold. Available in platinum, 18ct white, yellow or rose gold or any other precious metal combination.